If it’s True Crime, Conspiracy and Alternative History that you love to hear, then the House of Mystery is the show for you! They have investigated many cases in history, as well as true crime cases happening today. 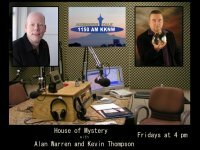 The House of Mystery is an independent talk show on KKNW Seattle, which is ranked the #3 true crime/ conspiracy/ history radio show in the U.S. Host Al Warren has his Doctorate in Religious Studies (DD), Masters Degree (MM) in Music from University of Washington in Seattle, Bachelor of Arts (BA) from the University of British Columbia in Vancouver, B.C. Canada and Recording & Sound Engineering Diploma from the Juno Award Winning Bullfrog Studios in Vancouver, B.C. Canada. The House of Mystery has hosted many of WildBlue’s true crime authors, including Bradley Nickell, John Ferak, and Kevin Sullivan. 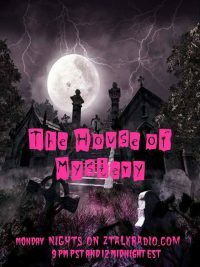 We are happy to work with Al Warren and the rest of The House of Mystery team. The House Of Mystery is now available on six radio stations across the U.S.!